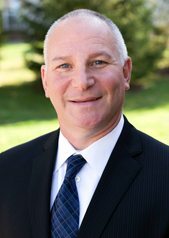 David E. Nager, managing partner of Nager, Romaine & Schneiberg Co., L.P.A., has been in private practice for 26 years. His primary areas of practice include workers’ compensation, personal injury and medical malpractice. 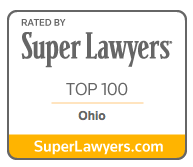 He has successfully argued thousands of cases before every level of the Industrial Commission of Ohio, and has handled hundreds of cases before various courts throughout Ohio. He also has successfully argued cases on the State Appellate level. He has obtained compensation for thousands of injury victims totaling tens of millions of dollars. In 2011, David Nager was appointed to the Bureau of Workers’ Compensation (BWC) Nominating Committee. This statewide committee determines who will be nominated for appointment to the BWC Executive Board, which oversees the finances of the BWC for the state of Ohio. 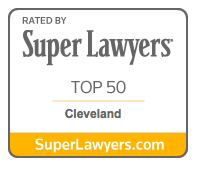 This prestigious honor demonstrates Mr. Nager’s statewide recognition as a leader, on behalf of claimants, in the area of workers’ compensation. In addition, the Ohio Association for Justice named David as the Outstanding Service Award recipient at its statewide convention held in May 2011. This award was presented in recognition of his efforts to positively effect change in the BWC system by meeting with its leadership to identify shortcomings in the system and recommend changes that benefit injured workers in Ohio. Dave, his wife, Ellen and their four children reside in Mayfield Village, Ohio. Congratulations to our managing partner, Dave Nager. He has been selected as an active board member who will be serving a 3 year term on Kent State University’s National Athletic Development Council. This leadership board is charged with providing advice and counsel to the Athletic Director and President regarding intercollegiate athletics and its various workings. Dave is a Kent State alumni and is honored to have been selected.